Here are photos of Maxie's frenemy Humphrey, taken when he was visiting us in September. I am participating in a new meme this week. Add your blog to the linky at the bottom of Dani's post. Go to Pen to Paper for the rest of the details. I read a really good book recently, y'all. Let me tell you a little about this terrific Cozy Mystery. Spring is in the air, but the ladies of the Cumberland Creek Scrapbook Crop hardly have time to stop and smell the roses. Not when famed Irish dancer Emily McGlashen is found murdered in her studio just after the St. Patrick’s Day parade – and one of the Crop’s own members is the prime suspect. Vera’s dance studio may have suffered when Emily waltzed into town, but the croppers know she’s not a vengeful murderer. 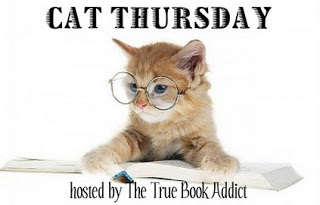 Lucky for her, co-scrapbooker Annie is a freelance reporter eager to vindicate her friend. What she discovers is a puzzling labyrinth of secrets that only add question marks to Emily’s murder. Just when it seems they've run out of clues, an antique scrapbook turns up and points the croppers in the right direction–and brings them face to face with a killer more twisted than a Celtic knot. 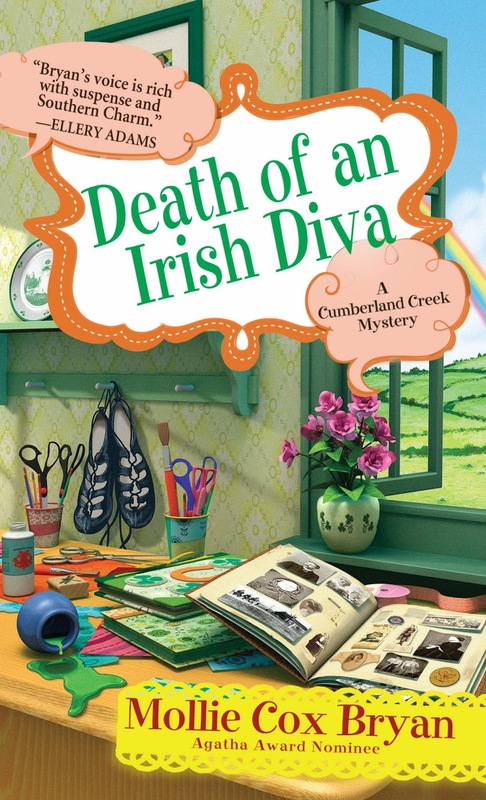 Death of an Irish Diva, by Mollie Cox Bryan, is the third novel in her Cumberland Creek Mystery series. I enjoyed my previous two "visits" to Cumberland Creek, Virginia, in Scrapbook of Secrets and Scrapped, and this "visit" is equally fun and enjoyable. I read a really good book recently, y'all — Rubber Soul, by Greg Kihn. Let me tell you a little about it. The Ed Sullivan Theater on West 53rd Street only held seven hundred people but the show had received about fifty thousand applications for tickets. Cops lined the street in front. Bobby thought the Beatles were keeping remarkably calm.